We would like to take this moment to thank the Oracle company for continuous development of the popular MySQL database! As you all might know, Oracle has recently released MySQL Server, v8.0. In its turn, Devart decided to get a move on and release the new dbForge Studio for MySQL, 8.0! 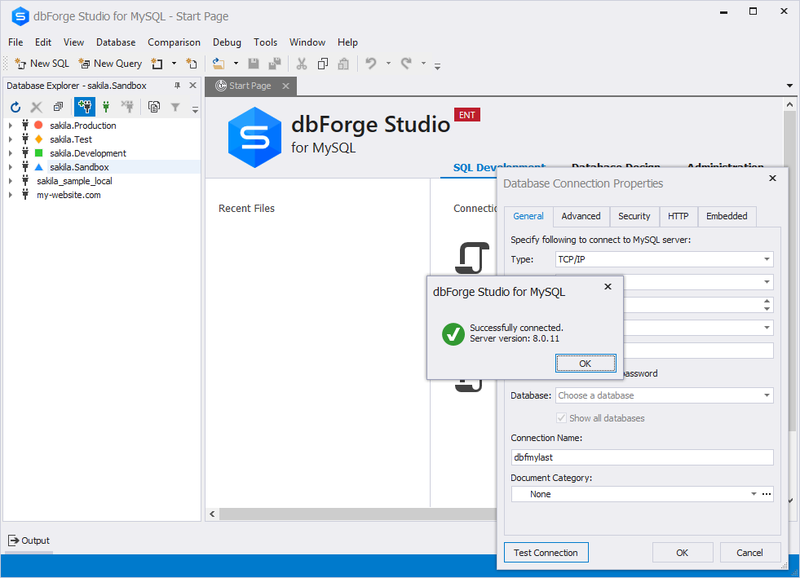 dbForge Studio for MySQL provides full support for all features of MySQL Server, v.8.0. Thus, you can connect, manage, develop, and administer MySQL databases on the latest server version straight in your favorite MySQL tool! We have not forgotten about the users who work with the MariaDB databases. dbForge Studio for MySQL allows connecting and working with the latest MariaDB v10.3. 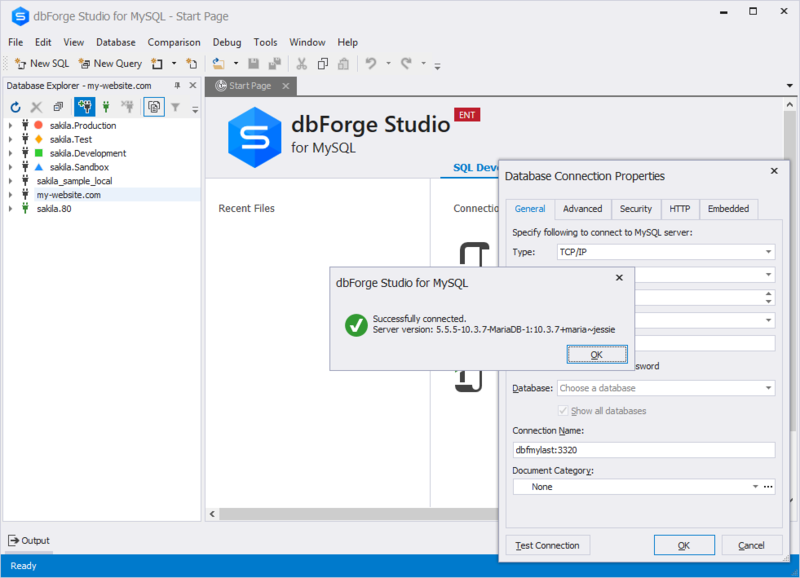 The new dbForge Studio for MySQL v8.0 also lets you connect to Tencent Cloud, a relational database cloud service that allows deploying and using MySQL databases in the cloud with ease. To make your work with code more convenient, we introduced navigation between keywords in SQL Editor. To navigate between keywords, you can press Ctrl+F12 or use the Jump between Syntax Pairs option from the shortcut menu. We invite you to try the new version and share your thoughts about it with us. This will help us to make dbForge Studio for MySQL better for you. You wrote about “connecting and working” with MariaDB 10.3, but I wonder whether dbForge Studio supports all the new development features of this release? By new development features, I mean temporal tables and queries, sequences, FOR loop, records, anchored data types and packages, because these are all important for me (as I wrote about it a month ago – http://gdsotirov.blogspot.com/2018/05/mariadb-103-adds-even-more-development.html – when MariaDb 10.3.7 stable appeared), but if would be good to have a GUI supporting them. Good news: dbForge is now compatible with MySQL Version 8.x! I will upgrade my version of dbForge in the near future. Until then, do you have any documentation explaining how you handle the Data Dictionary of MySQL Version 8? Are there any important differences we need to know about?